The presence of brown adipose tissue (BAT) in adults has become increasingly well defined as a result of functional imaging studies of thermogenically active BAT. Findings from these studies have created a surge of scientific interest in BAT, because it represents a potential therapeutic target for obesity—a condition with profound health consequences and few successful therapies. BAT contributes to overall energy expenditure in small mammals and neonates through adaptive thermogenesis. Thyroid-hormone signalling, particularly through induction of type II deiodinase, has a central role in brown adipogenesis in vitro and BAT development in mouse embryos. 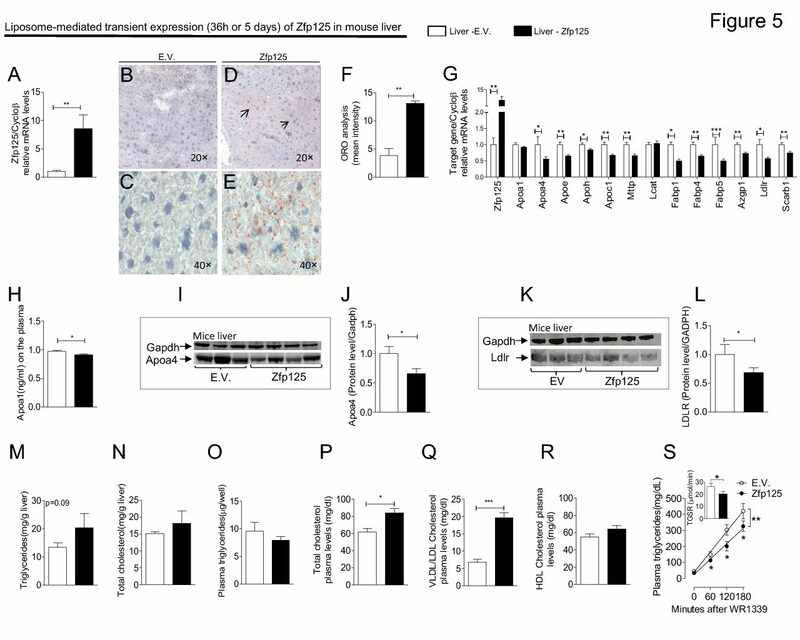 Additionally, because of high intracellular expression of type II deiodinase, adult BAT has enhanced thyroid-hormone signalling with several thyroid-hormone-dependent thermogenic pathways, including expression of the genes Ppargc1a and Ucp1. BAT thermogenesis explains the essential part played by thyroid hormone in energy homoeostasis and adaptation to cold. Stimulation of BAT in adults, specifically through thyroid-hormone-mediated pathways, is a promising therapeutic target for obesity. 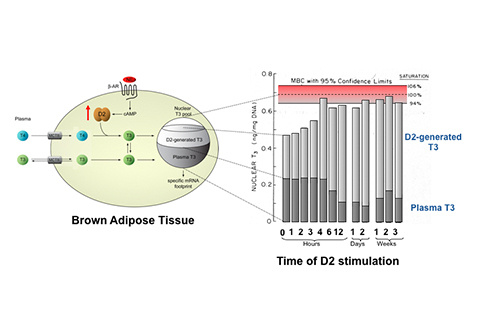 The role of thyroid hormone and brown adipose tissue in energy homoeostasis.